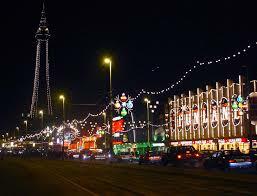 Blackpool Illuminations 1 – Adam sheds light on the CYPN Survey into Youth Work’s identity. We are pleased to host a first illuminating blog from Adam Hawes of the University Centre, Blackpool and the Fylde College. I am somewhat at a staggering loss on where to begin to respond to the recent results of the CYPN survey (CYPN, 2014). Recently, Children and Young People Now published an article by Laura McArdle, presenting the results of a CYPN survey that attempted to address the issue of the ‘identity’ of youth work. On the surface, it appears that CYPN were trying to establish what the interior and exterior perception of Youth Work is. CYPN, in its blurb for example, states; 96% [of respondents] believe the public does not understand what they do, 95% say Youth Work is a profession and 60% believe they must require a license to practice. Firstly; setting aside the question of 323 individuals defining the perception of all of Youth Work, let’s take a look at the makeup of those respondents. Only 3% of those who replied identified themselves as working in the Private Sector, and I know that of that handful one of them was myself; this somewhat further ‘muddies the waters’ for me. Not least because I personally view that, statutory or private, formal or parental, ‘Youth Work is Youth Work’. No, primarily I am concerned because CYPN attempts to define the interior view of the sector where, actually, the very existential concept of what that interior is remains ambiguous at best. As a professional – yes, the word professional is used here – working with young people in the private Residential and Foster Care system, I firstly consider myself to be a ‘Youth Worker’. This brings to me the question that, ultimately, CYPN ask; What is a Youth Worker? If we were to take the general tenets of IDYW; that being Youth Work is something which is tacit, not easy to define and “without guarantees”, then I see an immediate parallel between those philosophies and say, Residential Care. This kind of thinking is not solely aligned to Residential Care however; although of course I have a particular affinity with that area. I also think of those non-JNC accredited professionals who facilitate youth clubs; Learning Mentors; Advocates; Youth Offending Services and the list could go on. Yes, those professions do require the demonstration of outcomes, however the motivations of those workers must be the area of focus. If, for example; your Residential Care Worker or Advocate goes about their work, instinctively engaging in the tacit skills and relationships that arguably define the very core of Youth Work then the profession becomes hard to define – hence the so called “identity crisis” in Youth Work today. So, the easy answer then; turn Youth Work into Social Work to make it a more marketable commodity to the general public and thus, in turn, increase funding. Put emphasis not on the work, or the relationships, or the innate skill; but on the product of Youth Work. Benedict Morel theorised “degeneration” in the late nineteenth century; essentially a striking parallel to what we as Youth Workers might recognise today as the ‘deficit’ perception of young people. Morel’s work broadly suggested that anyone who did not conform to the high expectations of functioning society, in the face of an uncertain future for Euro-Western civilisation, was degenerate. Deficit, we might say, within a contemporary concept; any young person who does not live up to economically contributory standards is a ‘NEET’, a ‘problem’ to be worked on. Focusing on the product of Morelian anti-degeneration – alternatively known as targeted and outcomes based Youth Work – seems to be a dangerous throw back to the late nineteenth century; easily confused with the deficit mentality of today from those outside the sector. Circularly the issue is raised; that we are focusing, in contemporary terms, on the shining young man in his pristine military uniform having transformed him from a Morelian Degenerate. Let’s replicate this with ‘Youth-Work-In-A-Box’ and parade a reformed young person through the streets of the nation to publicise ‘what we do’; we can utilise national platforms such as the IYW to promote the slick and scientific process of turning a criminal, benefits claiming young person into an economically productive tradesperson. Does this not simply echo the nationalistic ‘product’ of state intervention, promoted in the face of proto-Germanic Imperialism at the turn of the last century? Now branded ‘Youth Work’. Whilst Ruth Gilchrist, in Laura’s article, makes the point that the public generally know what Youth Work is; how many of the public would be able to identify with and appreciate the process of turning that criminal young person into a tradesperson-compared to the numbers that would appreciate the complex ethical cognition of non-disclosure for example; or harm reduction, or the ethics of autonomy and right to withdraw. To me, this seems like the kind of perverse and self-serving decimation of the very ideal of Youth Work simply to turn on the money taps. I am staggered, though unsurprised, at Derren Hayes’ comments; turning “what works into hard evidence on inputs and outcomes”. Anecdotally, I’m aware of the largely shared view across the sector that the tyranny of Every Child Matters is something that must be avoided at all costs. That far from promoting a more virtuous and high quality level of practice, the introduction of ‘hard’ evidential requirements may simply serve to reinforce the obsession about ‘proving’ impact. So with this new professional, ‘Youth-Worker-in-a-box’; how do we measure their impact? Perhaps, by quantifying the level of repeat offenders in Youth Offending? No, we already do that. Perhaps also, with specific regard to Residential Care; measuring the fallacy of ‘choice’ via the medium of ‘Young Peoples Meetings’ – Ofsted will be so pleased! Perhaps we can also include competitive stratification of Youth Workers to promote achievement and quality improvement! I echo the voice of the anonymous deputy chief executive in Laura’s article who calls such a move “stupid”. It deeply concerns me that inserting an entry standard to a some protected title would simply further “divest the individual of responsibility” (Bauman, 1992) and “exchange” responsibility for legislation. Morality, tacit skill and indefinable roles are not analysed or even regarded when the practitioner need merely conform to the prescriptions of legislators (Dahlberg and Moss, 2005). As a sector, we cannot merely afford to simply follow the rules and ethical frameworks because some defined elitist membership hierarchy tells us we must; it is of vital importance to consider how practice exists and in what forms as opposed to reinforcing yet another JNC-style job-in-a-box. Ill-conceived practitioner and public doxies on youth work as a convention must be overturned and consistently challenged before action is taken that is either unnecessary or unhelpful. I entirely agree that a consistent assessment of practitioners’ professional standards and modal beliefs should be introduced; though I question the motivation. How can we simply subscribe merely to an exogenously imposed set of ethics and standards that specifically define what a ‘Youth Worker’ is? It seems to me, that Youth Work of the more blended and tacit form needs defining and attention from within the sector before we consider how we brand and market that philosophy to those outside. Bauman, Z (1992). Intimations of Postmodernity. London: Routledge. Dahlberg, G and Moss, P (2005). Ethics and Politics in Early Childhood Education. Abingdon: RoutledgeFalmer. Adam Hawes lectures within the ‘Working With Young People’ and ‘Children and Families Social Care’ Lancaster University degrees at Blackpool & The Fylde College. Though lecturing and researching, Adam primarily considers himself to be a professional Youth Worker above all else. Adam is researching and writing in areas that concern the existential definition of what it means to be a ‘Youth Worker’ and is broadly concerned with the hierarchical relationship between the statutory and voluntary sectors. Adam’s passion comes from working with many insightful and inspirational young people in roles which do not have contemporary recognition as being ‘Youth Work’. In his career, Adam has been a strongly vocal dissident of the statutory sector’s influence within Youth Work and has emphatically remained an impassioned supporter of traditional Youth Work and Informal Educational values. Adam is a keen reader of ethics and social-anthropology and is particularly interested in the practical application of some specific academic philosophies and theories. One of Adam’s primary academic goals, is to explore and draw attention to the vast experiential gap between Youth Workers and those who regulate, monitor and evaluate them.